It syncs easily to my iPad using Bluetooth and a WiFi connection. The charge on my watch lasts for just over a week which is good, but notification on low battery isn’t great. When I originally bought it I didn’t know the only way to download the data was to create an account on the Fitbit website and didn’t set one up originally. If you are interested in analysing your data over your monthly cycle it is worthwhile setting up an account. You can manually add a food diary, water intake and any additional exercise for the day, but this isn’t something I used. The iPad app allows you to tweak how the time is displayed and what you want displayed on the health watch face and in what order. As someone who used to always fall asleep as soon as my head hit the pillow. Becoming a light sleeper at some times in the month has not really gone down well as you can imagine! The sleep tracker indicates awake/sleep cycles. Some nights where I feel I have been awake a lot it often looks more like I have briefly woken up and turned over. It often my perception that I have been awake a lot when it appears to be seconds on tracker. I have been a lot stricter with my bedtime routine which is an adult version of quiet time for kids. All blue screen devices are switched off. My Kindle is a white light so that’s ok. When I eat dinner is important. Too late and it feels like it sits in my tummy all night, too early and I will wake up during the night. Alcohol will have an impact at certain times of the month. My one cheeky double espresso of the day doesn’t appear to make any difference when I drink it but as long as it’s just one! However watching back to back episodes of Game of Thrones late at night definitely hinders a good nights sleep! Tracking my steps has been one of the biggest changes to lifestyle. Health watches have been described as The Walking Whisperer and nudges for an extra 5 minutes or to take the long way home. I aim for 10,000 steps a day but happy to do more or less depending on how I feel. I usually average about 75,000 steps a week which accommodates an off day or bad weather! 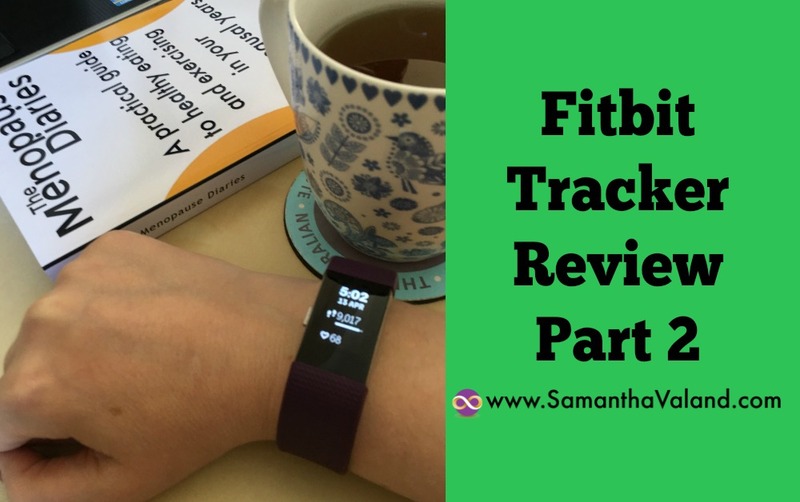 The tracker is on my wrist so arm movements like brushing my teeth will be included as steps as will performing The Hundred in a Pilates class. So take to number of steps with a pinch of salt rather than gospel. I have added in stretches to my lower legs and feet if I have been walking a lot. Even if it’s ‘just walking’ if it’s more than what you usually do stretching is required! The American College of Sport Medicine (ACSM) provide the gold standard for exercise recommendations. Whilst they do not state how many steps, they do urge caution as some step counters are more accurate than others. They have a good article on selecting and using pedometers which you can read here. They also have an article on how to start a walking programme, you can read it here. The number of calories burned have been interesting to watch. There can be a difference of 400 in a day which is all down to how much I have walked in a day. This is interesting for my less energetic days when I will obviously be less active, but when you are tired you do eat differently so it has been an interesting nudge to be more aware of that. Matching food levels to activity. What I am interested in tracking next is general heart rate during the day. Restorative exercise is a fabulous way to lower stress levels, but it can be difficult to tell where my heart rate is for some activities. So I’m curious as to whether I’m actually lowering my stress levels with Hatha Yoga and restorative walking or if it still fits into the active exercising category. You can tell this by where you heart rate is. I do have a heart rate monitor but it is for running. It has GPS tracking which means it needs to be frequently charged and a wee bit uncomfortable to wear every day with the chest strap. During the menopausal years women become more sensitive to stress so easy walking and gentle exercise such as Hatha Yoga can help to reduce stress levels but only if performed at the correct intensity. Most women I know are good at doing more but not great at doing less! Myself included. Here is an interesting article on the lost art of purposeless walking which is what I aim for in one of my walks during the day. We are all so busy with chores and to do list, the art of doing nothing has been lost! Either than or we need to practice more!